Its no secret that the ADV crowd loves to push the limits: go farther, climb harder, conquer all! Whatever challenge you are looking to overcome, your gear is an important part of scaling that mountain. 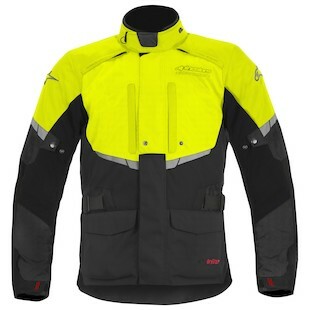 Enter the Alpinestars Andes Drystar Jacket and Pants! An attainable combo, these items will only set you back about $500, flying in the face of the upwards trend in elite adventure gear. Starting at the top, the Alpinestars Andes Drystar Jacket checks every box in the dual sport riding category. Constructed with a 600D fabric that is treated with a PU coating for water resistance, the Andes' shell also has a built in waterproof Drystar lining. A removable thermal liner stretches this rig's capabilities to cover a 3-season spread. As we've begun to see over the past year or so, High-Viz is quickly becoming a fashion choice in addition to good safety practice. The Andes is no exception, coming in a brilliant High-Viz pictured here. In addition, there will be a Black and Grey/Black option also available. Despite the excellent price point, you will still see the attention to detail throughout. Pre-curved sleeves, dynamic stretch panels, back and chest protection pockets, and a soft collar edge for comfort round out the package. The pants, likewise, are available in the same three colors (yes, even High-Viz!). 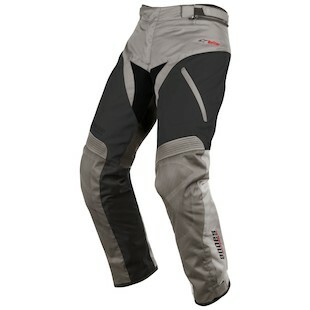 The features listed above carry over on the Alpinestars Andes Drystar Pants. As you would expect, the pair will zip together to provide the most effective protection against wind and rain. Each colorway, both top and bottom, will also include highly visible reflective details and logos to ensure that you are seen while riding at night. If you don't believe that your gear should cost more than your bike, the Andes are the perfect pick. While not a summer option, the rest of the year will be covered whether on road or off, rain or shine. Check out the rest of Alpinestars 2013 at RevZilla.com!